Basement widow hasn’t crossed my mind in a while. Paid a visit after work tonight, snapping a hasty cell phone image of her impressive domain. 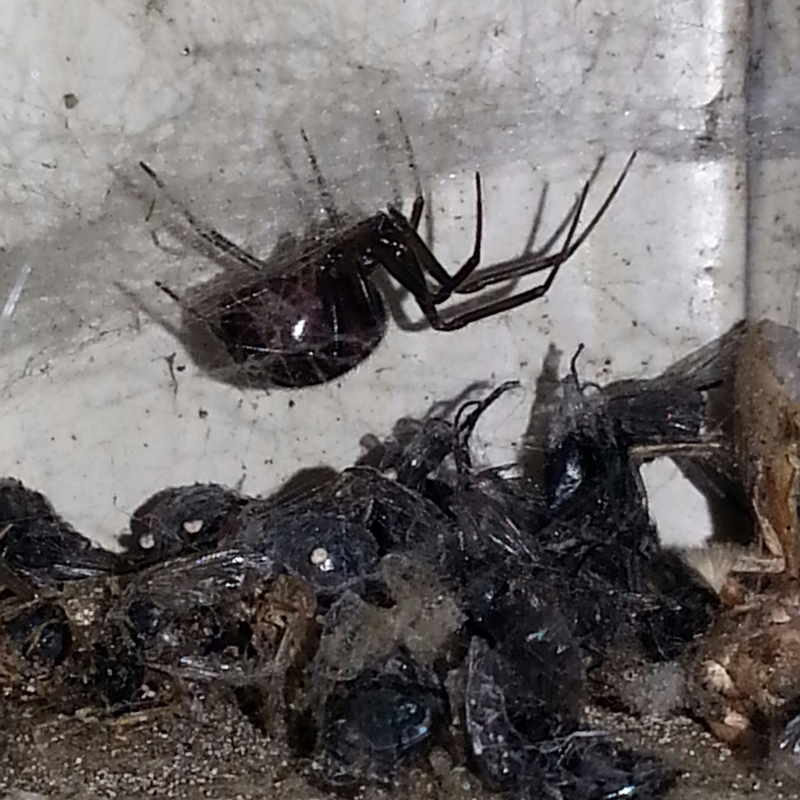 Research indicates female black widows have a life span of up to three years. My spider is entering her second basement summer. Rest easy, I’ll update her status every few months.